This article is a repost of an article I wrote for LST’s Illuminate Blog, a theology blog contributed to by students which appears to no longer exist. The following is my unedited reposting of the article as it was posted then, in July of 2013 – at the end of the second year of my BA in Theology. Enhypostatic Christology: Jesus as Vere Deus et Vere Homo and the ethical implications for Christians today. Much of Christian theology is shrouded in paradox and mystery. Concepts such as the Triune nature of God whereby he is three hypostases and yet just one ousia can often seem contradictory and when someone is brave enough to try and approach the topic they can often be repelled by a barrage of unfamiliar terminology. Nevertheless, there is much to be gained from attempting to think and ponder on weighty theological questions. For instance, the questions of ‘What is Jesus? Is he a Human? Or God? Or somehow both? How could he be both?’ are worthy of exploration. As are the potential contemporary implications in other areas; such as ethics. Well, following the apostolic era the early church had to establish just who and what they believed Jesus to have been. The progress of Christology was often in response to various heresies; denying what was clearly false to affirm that which was true. In response to Arius’s claims that Jesus was a created being and not God, the council of Nicaea said no; Jesus was ‘of one substance with the Father’, this meant he was equal to God the Father and thus fully God himself. Apollinarius followed with claims that Jesus had a human body and a divine mind. This would mean Jesus was not fully human and as Gregory of Nazianzus pointed out that ‘What Christ did not take, he did not redeem’. As such the Council of Constantinople affirmed that Jesus was fully God and fully Human; Vere Deus et Vere Homo. Nestorius tried to explain this by saying it was a combination of a Divine person and a Human Person that made the person Jesus. The Council of Ephesus, echoed by the council of Chalcedon, rejected this merging of persons, emphasising two distinct natures (fully human and fully God) and the one person (hypostasis). How does that work though? Barth observed that any discussion on how it is possible for Christ to be both fully human and fully God revolves around John 1.14: the Word became flesh. The question is what/who is the Word? The Word is the second hypostasis of the Trinity, alongside the Father and the Spirit. The Word is the one whom is the revelation of the Father by the revealing of the Spirit. 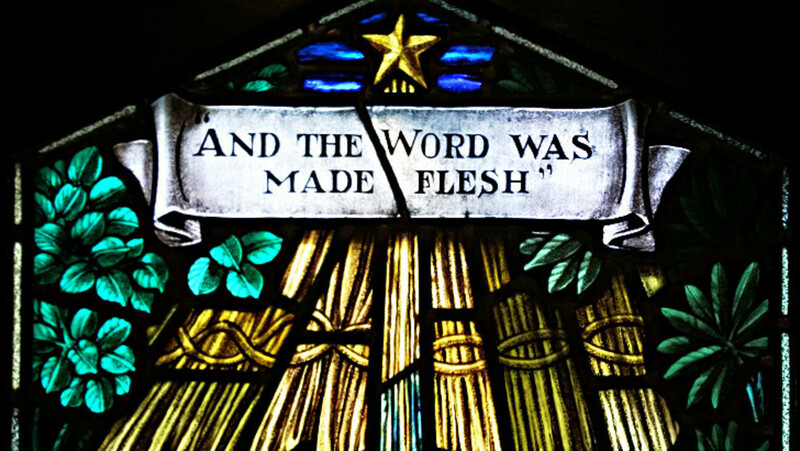 It is the hypostasis of the Word who is the subject of the incarnation, who became flesh. This is not to say that God changed and ceased to be God by becoming a human but rather that he who is unchangeably God becomes and is unchangeably human. Leontius of Byzantium tried to explain this union of the two physes, natures, whilst maintaining the Chalcedonian affirmation of the singular hypostasis present whom Jesus was. He claimed that the human nature has no hypostasis of its’ own but this doesn’t mean that it has no hypostasis. Instead it finds its’ hypostasis in (en) the hypostasis of the divine Words’ hypostasis resulting in what is called an ‘enhypostatic christology’. This is important; if, and as, the two natures of Christ are respectively fully Human and fully God then it is impossible to separate the two as they have the same hypostasis. To separate the human nature from the divine nature would be to diminish the fullness of each nature; to prioritise either nature as the ‘main’ nature results in heresy. Avoiding the heresies of Ebionitism (Jesus was a man who later gained a divine nature) and Docetism (Jesus was not really ever human, he was divine and only appeared to be human) via enhypostatic christology results in a Logos Christology whereby the 2nd hypostasis of the Trinity is able to to take on and redeem human nature. As such, just as Jesus remains fully human and fully God, he was always fully human and fully God from the moment of conception. To say otherwise is to split the natures and to stray into heresy. Other than enabling a metaphysic of atonement whereby both God and Humanity are fully involved and thus providing a consistent christology and soteriology, what implications are there for the Christian as a result of the doctrine of enhypostatic christology? Well, surprisingly, it could be that this doctrine, if taken seriously, has profound implications for ethical discussions concerning personhood and the sanctity of life; particularly with regards to ethical considerations revolving around conception and the termination of pregnancies. With the relatively recent medical advances of the 20th century the medical procedures for performing terminations are now much more effective whilst the risk of death to the woman concerned has been drastically reduced. In terms of medical proficiency, there’s rarely reason for a termination not to occur and in some cases it may even be advisable if the consequences of carrying the pregnancy to term is likely to result in the death of the pregnant woman. However, for the Christian trying to construct a consistent theology that is scripturally faithful with moral guidance that is applicable within the spheres of ‘real life’, the medical ability alone isn’t necessarily enough to make an action morally appropriate. Therefore when the Christian explores who (and what) Christ is, it appears that as the divine and human natures are both fully present from the incarnation of the pre-existent hypostasis of the Logos, then, for Jesus, the hypostasis is present from conception; when the Word became flesh. As he is fully human then it follows that if his hypostasis is present from conception, so are the hypostases of all humans. Accordingly, the termination of a pregnancy involves the termination of a human hypostasis; the death of a human person. To say otherwise would be to deny that a human hypostasis is present within the human physis from conception, yet to say that the hypostasis of the Logos was not present from conception would be to stray into the heresy of Ebionitism. Jesus, then, is the pre-existent hypostasis of the Logos incarnate. As such he is Vere Deus et Vere Homo which means that he shares fully in our humanity as well as Gods’ divinity and so as his hypostasis is present from conception, so too are all humans’ hypostases. For the consistent Christian, this has clear implications for the ethical basis of their views on the issue of abortion. Barth, K., Church Dogmatics, Volumes 1.1 and 4.2, Edinburgh: T&T Clark, 1962. McIntyre, J., The shape of Christology: Studies in the Doctrine of the Person of Christ, Edinburgh: T&T Clark, 1998. Pannenburg, W., Jesus: Man and God, Philadephia: Westminster Press, 1968. Wand, J.W.C, The Four Great Heresies, London: A.R. Mowbray, 1955.